Is that what Chicki’s thinking? 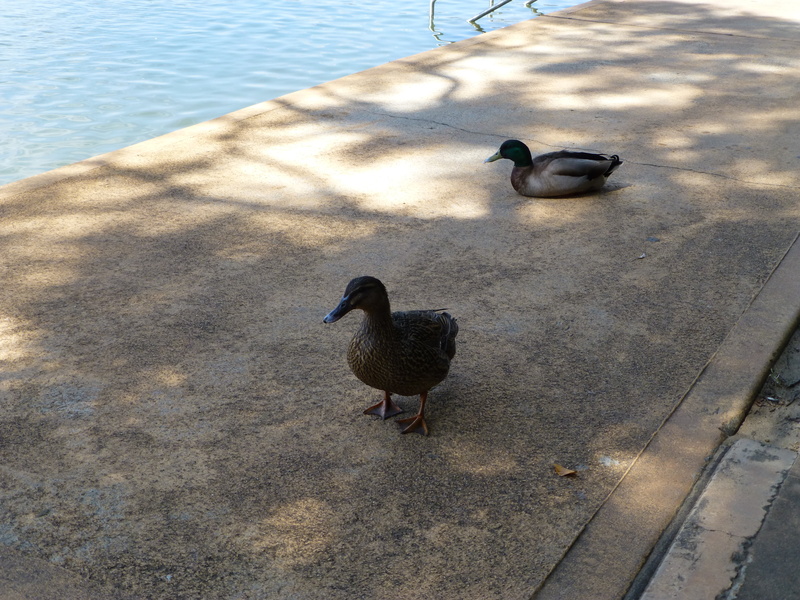 It isn’t every day that a pair of delightfully friendly wild ducks waddles down the promenade. Yet another reason for Chicki’s excitement at the prospect of going out in the car. Who knows what treats the day may bring? But to me at least, few surpass the simple beauty of watching nature at its sweetest. Is that what’s in Chicki’s mind? The neighbours must surely hear her excited barks as she waits for the opening of our car door. 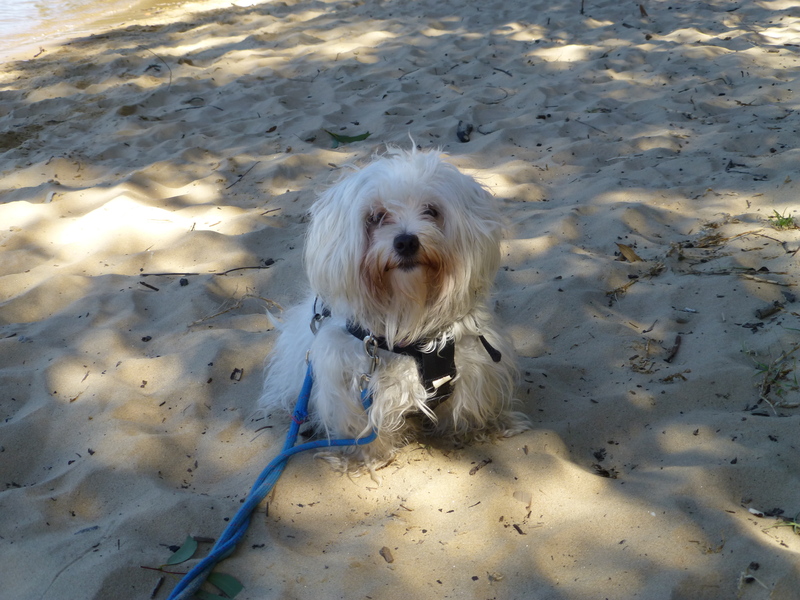 My guess is that this little beach and all its enticing smells are the highlight of her day. All in a (dog) day’s work, and play! Hands up who likes ocean beaches? 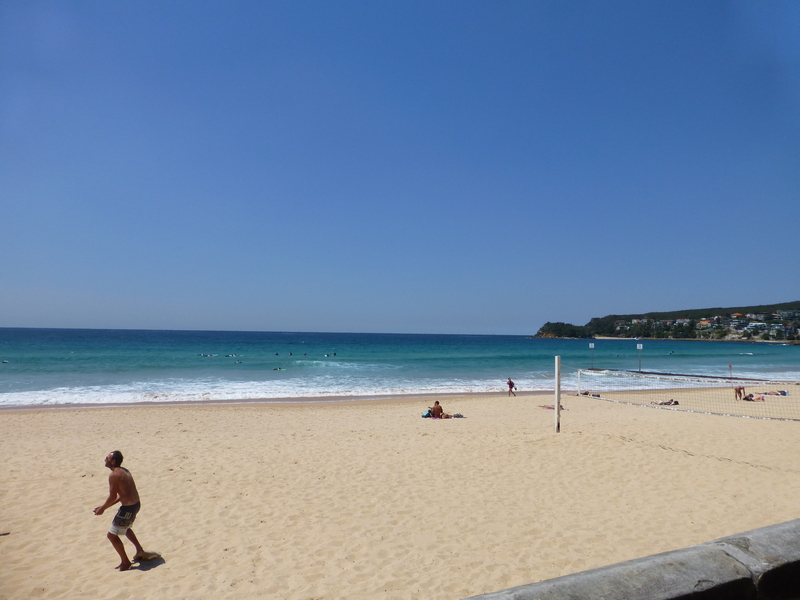 For those in Sydney, I offer one of our finest: Manly. 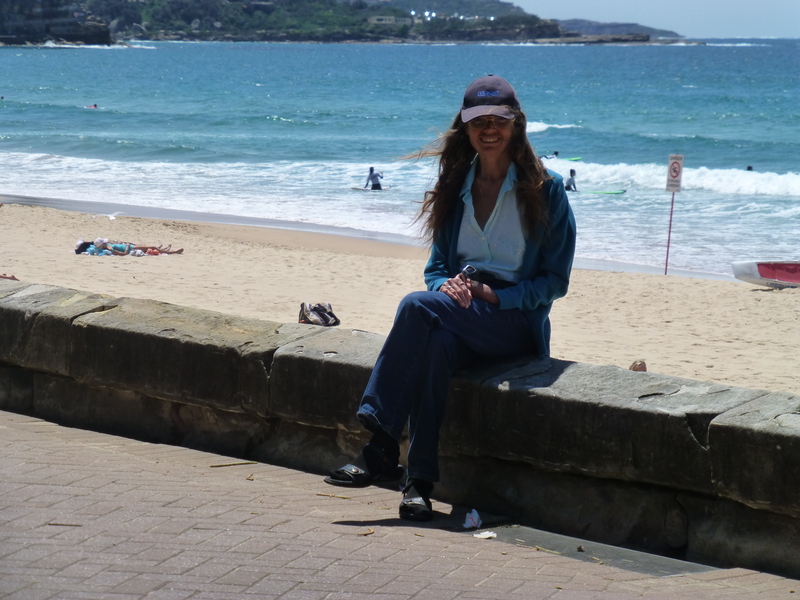 For those who come from the other side of Sydney, is there a better way to get there than via the Manly Ferry that regularly leaves from Circular Quay? What an expanse of dazzling sand! What an ocean! 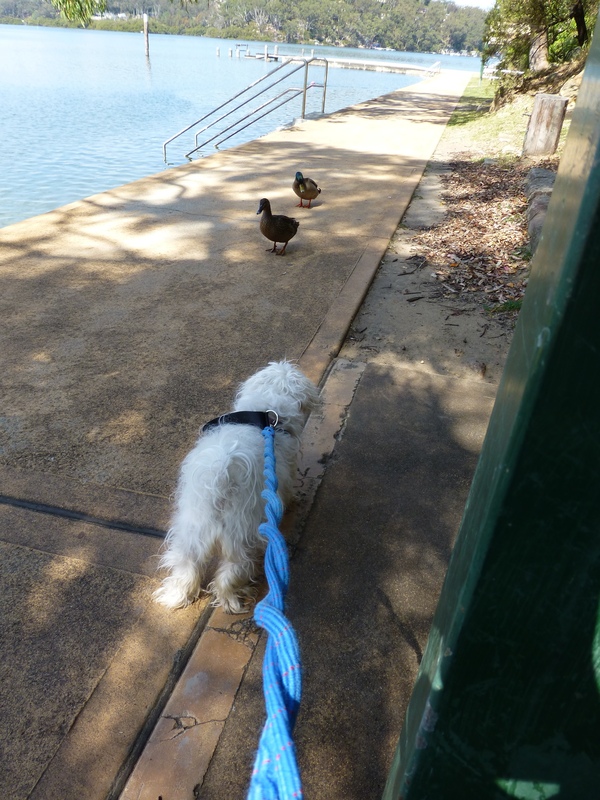 Watching the world go by…. Not a bad occupation, especially if one is on top of the world! 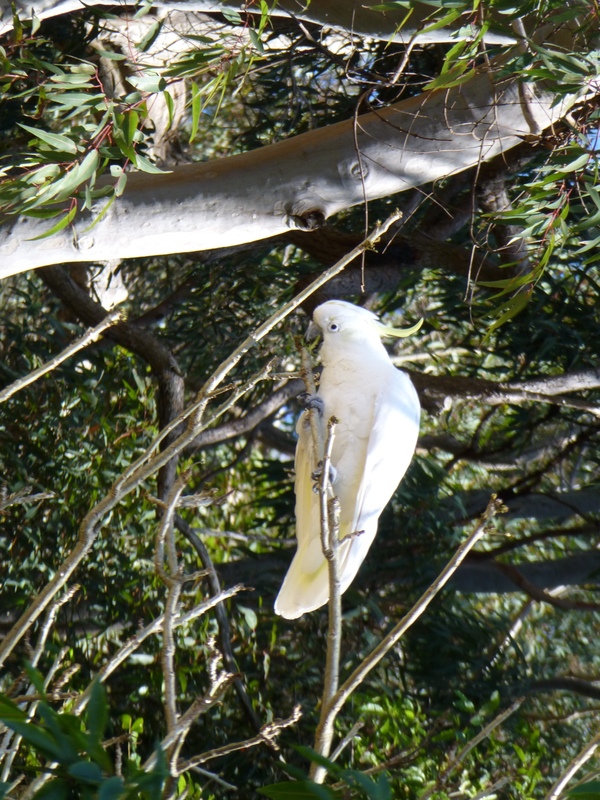 Happy cockatoo, reveling in the glory of the Australian bush! It’s Time for a Rest…. 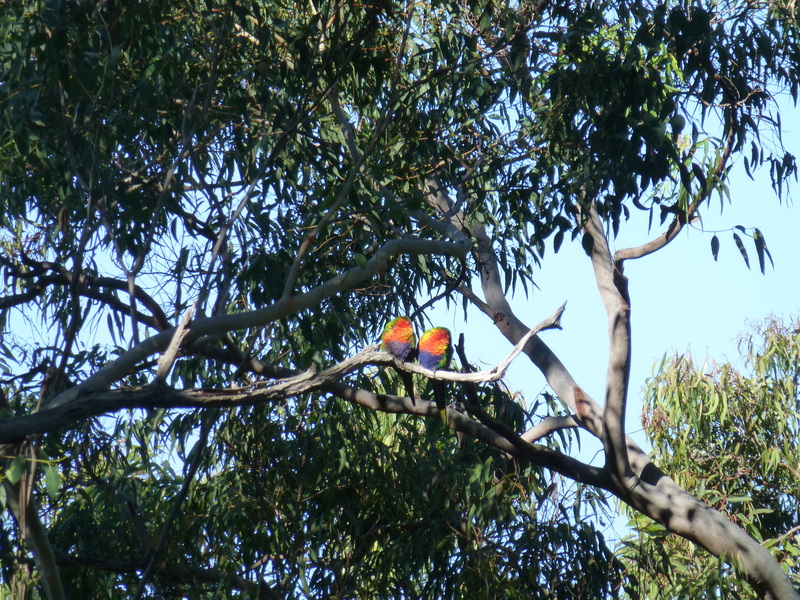 I guess that’s what this pair of Rainbow Lorikeets have decided. Their heads are turned in such a way as to expose their vivid and beautiful chest feathers. Don’t you agree that these spectacular birds well deserve their title: King Parrots? Their rich red and green of the plumage is so eye-catching and cheerful. It’s always a delight to catch sight of these parrots. Rarely, fortune smiles on me so much that a really wonderful photographic opportunity presents itself. But a few weeks ago, it did! 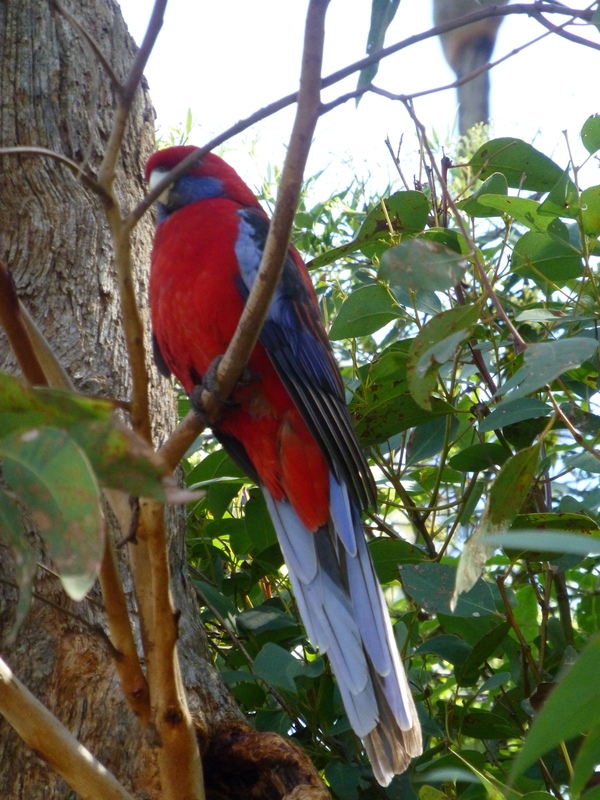 Another wonderful parrot that I sometimes see in the park is the Crimson Rosella. 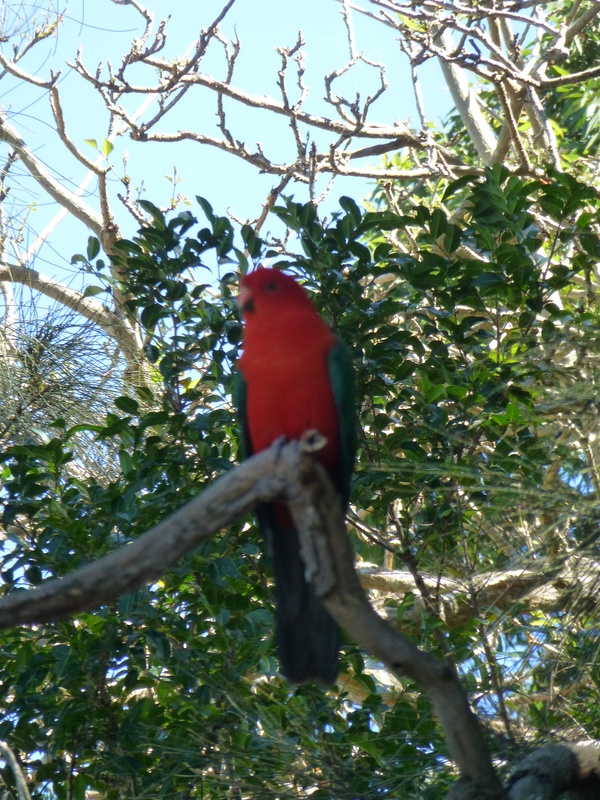 The most striking difference between it and the King Parrot lies in the colour of the wings, which are a darkish blue.